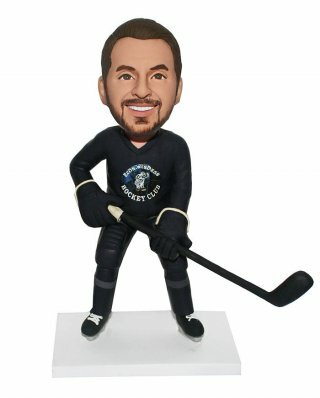 hockey jersey, this custom bobblehead of a hockey player skating on the ice rink chasing the rubber puck and ready to score a goal. This customized bobblehead is terrific gift to hockey fans or players. 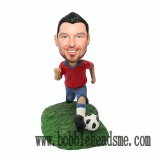 You can change the team logo or jersey on this personalized bobblehead body. To make it a wonderful unique item, you can even add player name a number on the back. 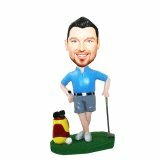 It is unique, fun and personalized.